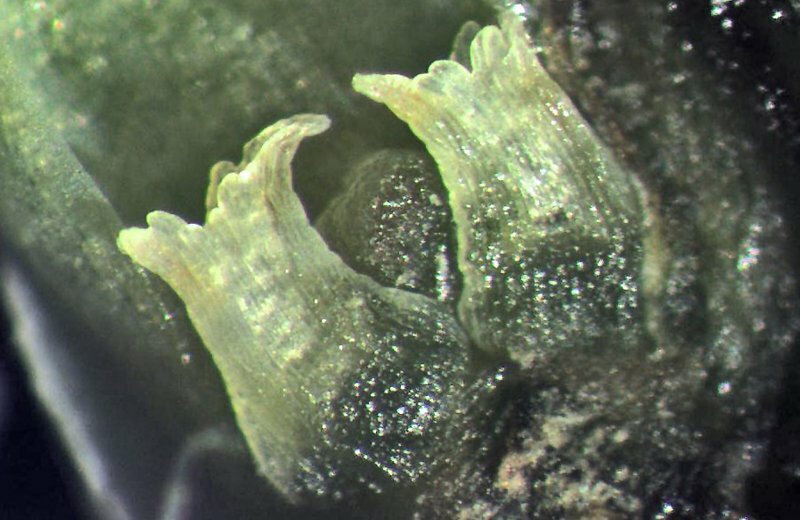 Young ovule cone with two pairs of bracts. 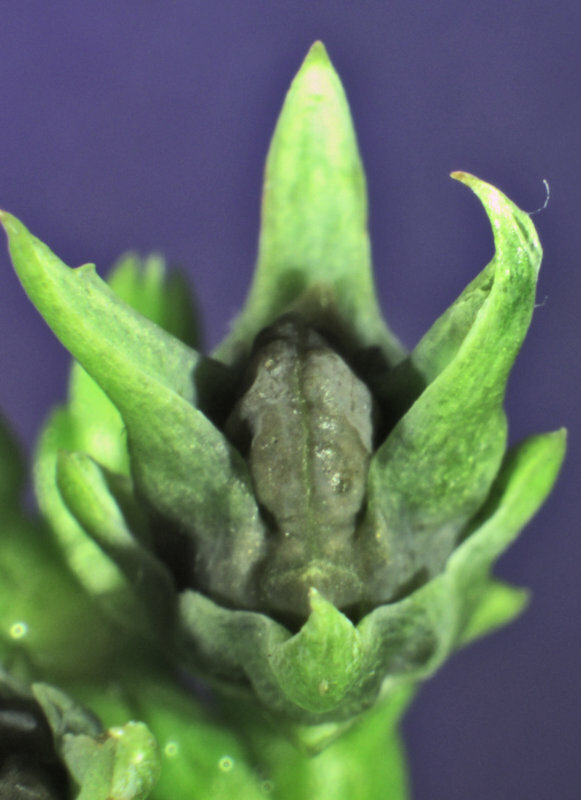 Only the two inner bracts will bear ovules. 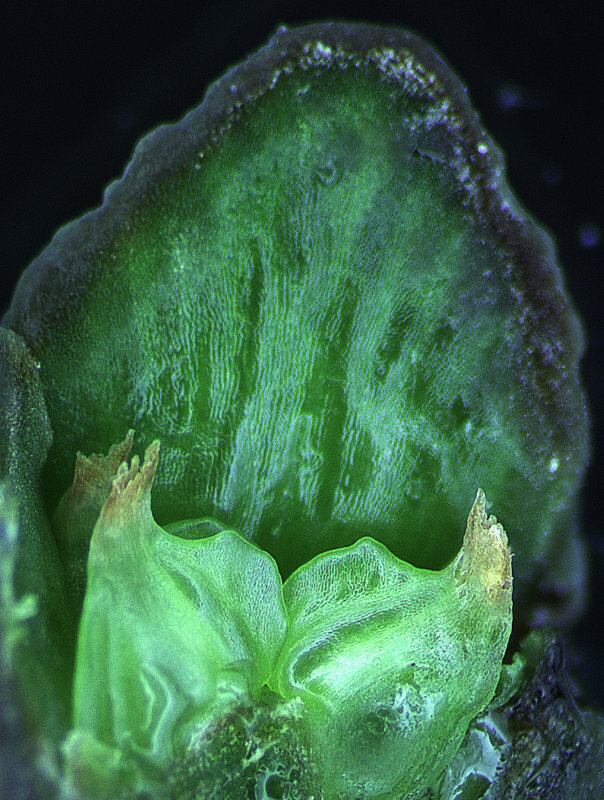 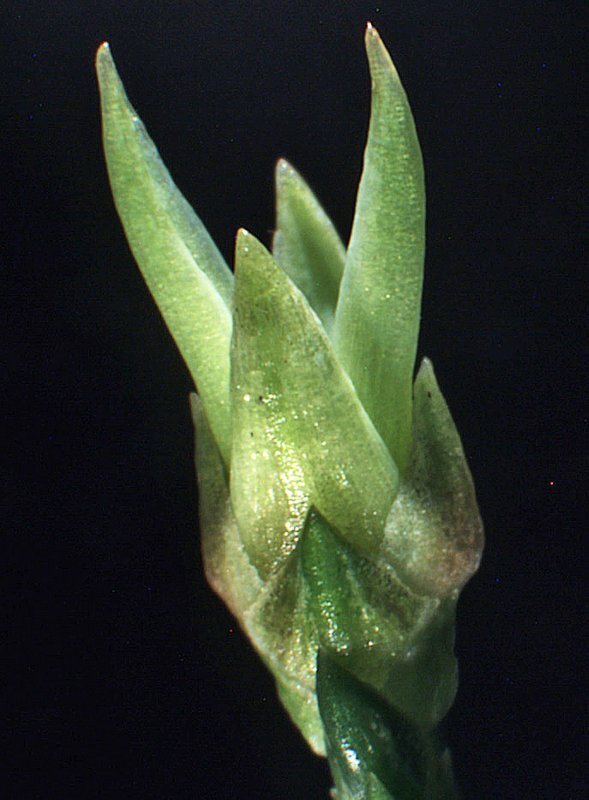 Base of fertile bract, a small dome-shaped fertile scale bears two pre-pollination ovules. 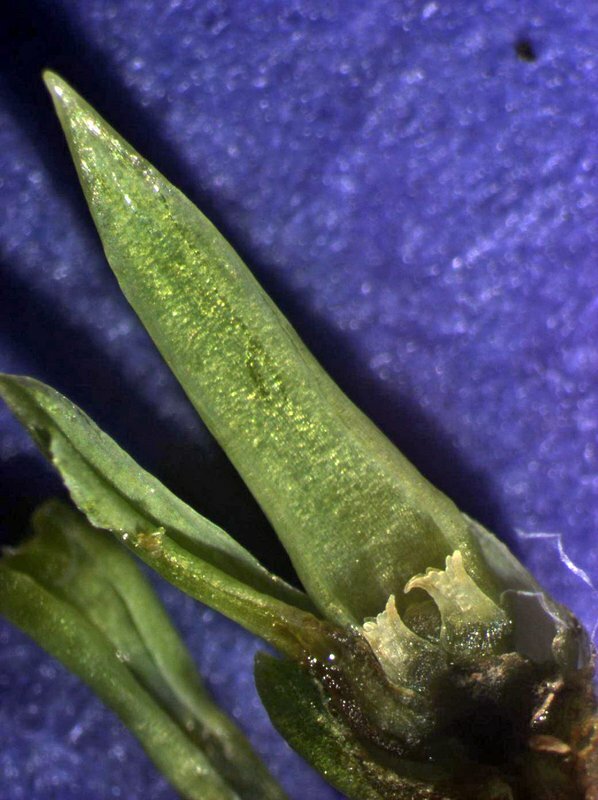 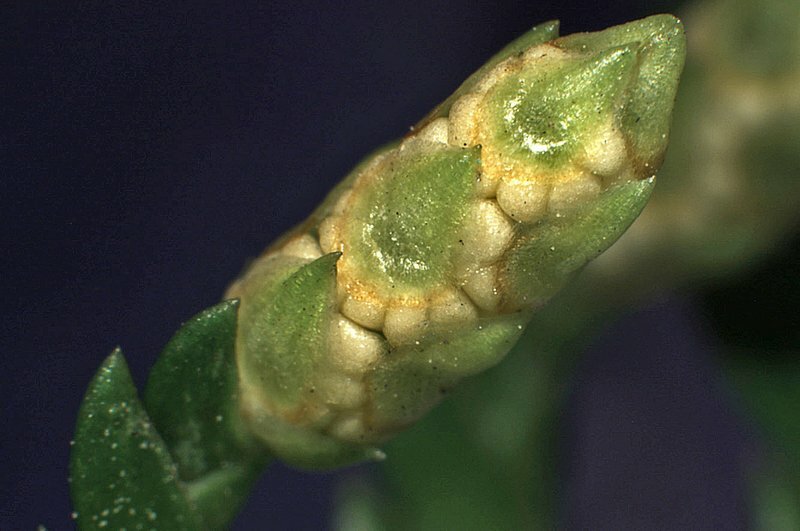 Fertile bract removed, enlarged fertile scale with pair of post-pollination ovules. 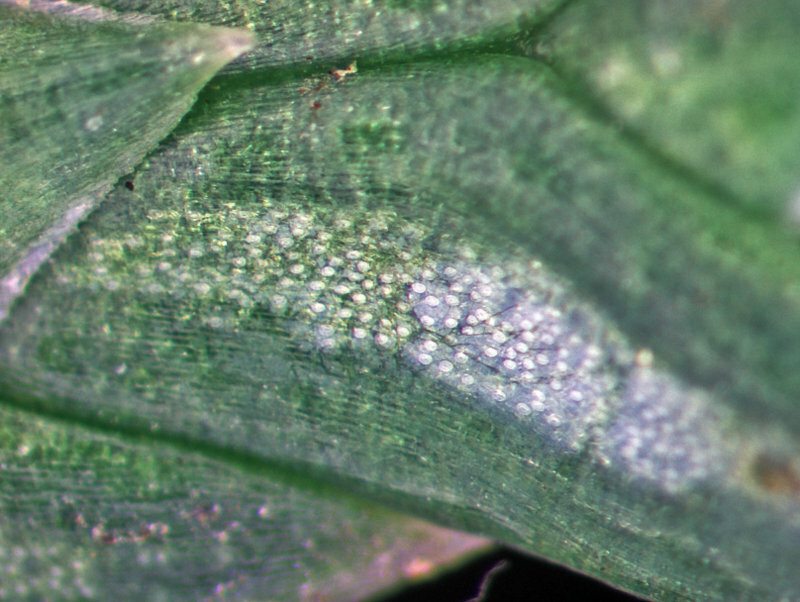 Fertile scales join together over the ovules while the bracts (outermost) enlarge and form spines. 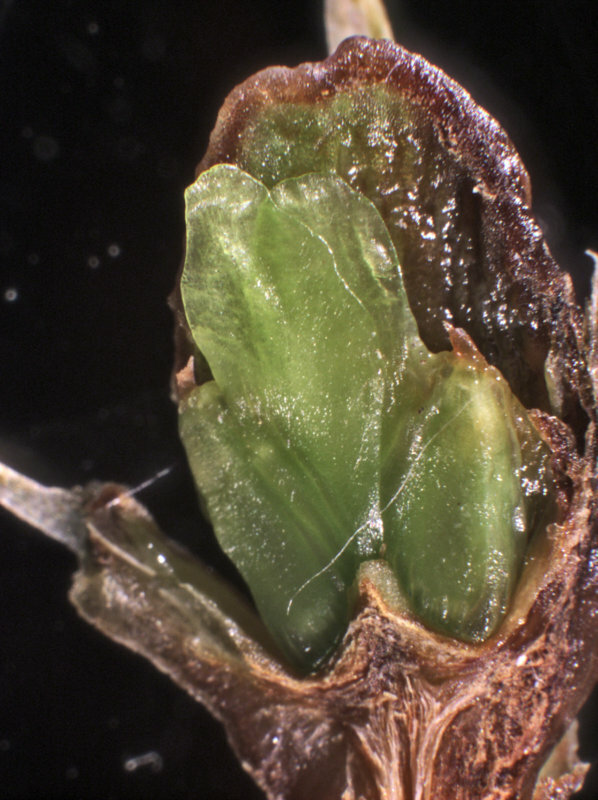 Cone opened up, bract and fertile scale removed. 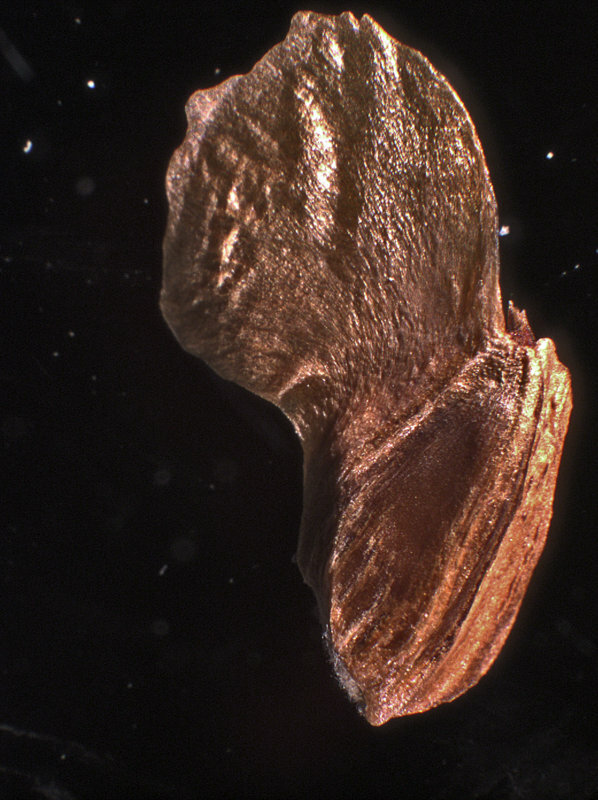 The seeds develope large, flat wings. 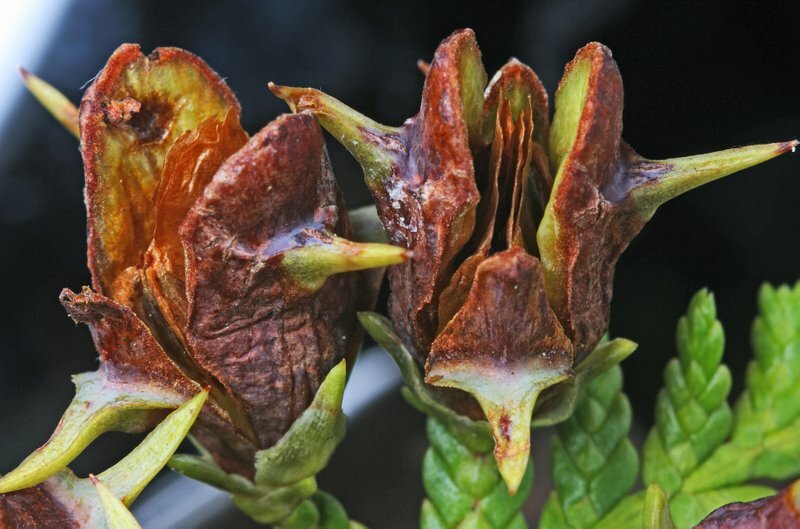 As the mature cone dries out, the bracts and fertile scales separate exposing the winged seeds within. 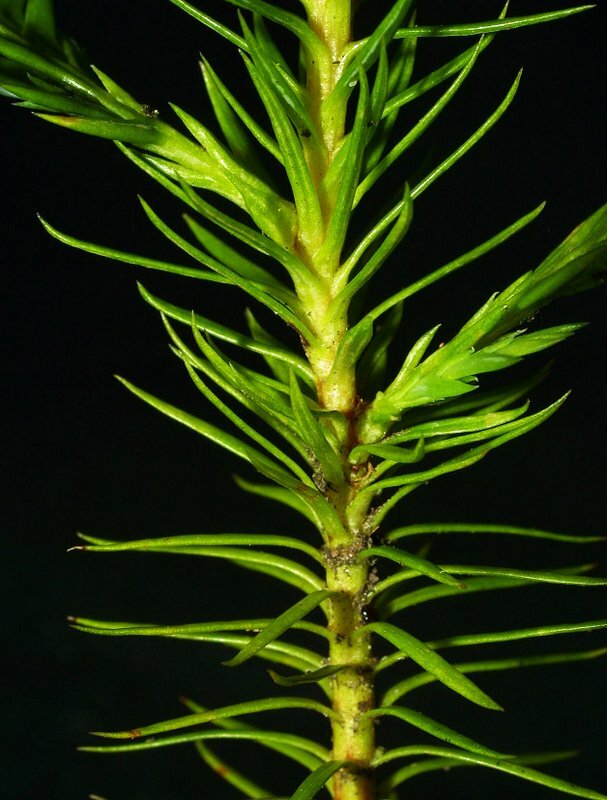 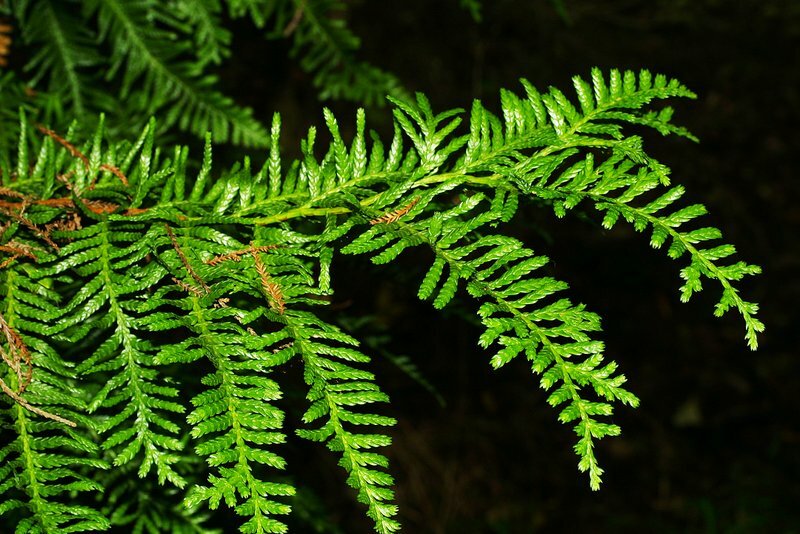 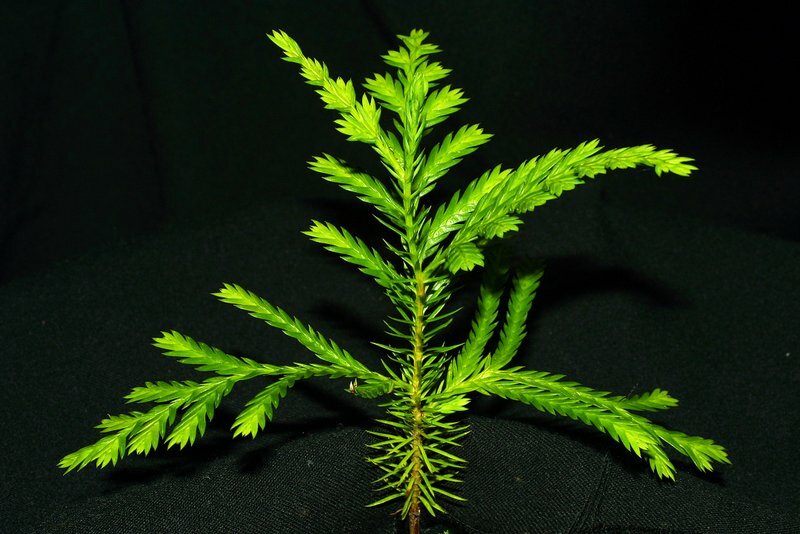 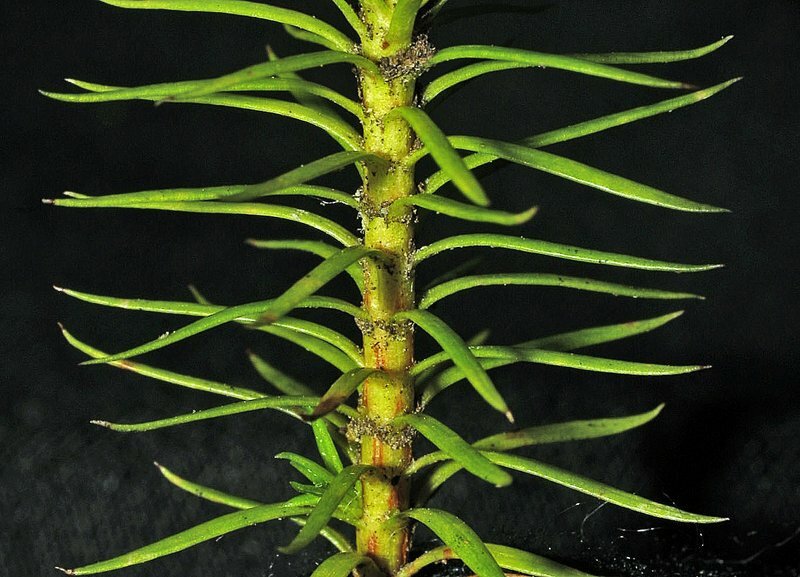 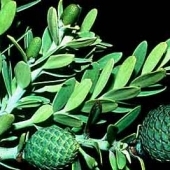 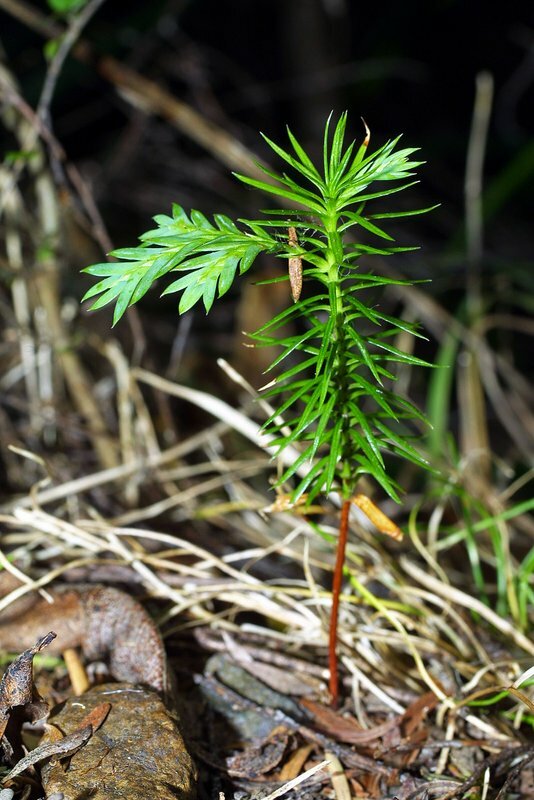 Libocedrus plumosa is a tall tree with a pyramidal shape when young and small scale-like leaves that are compressed and flattened to the stem stem into four rows forming a lateral pair and a dorsal-ventral pair. 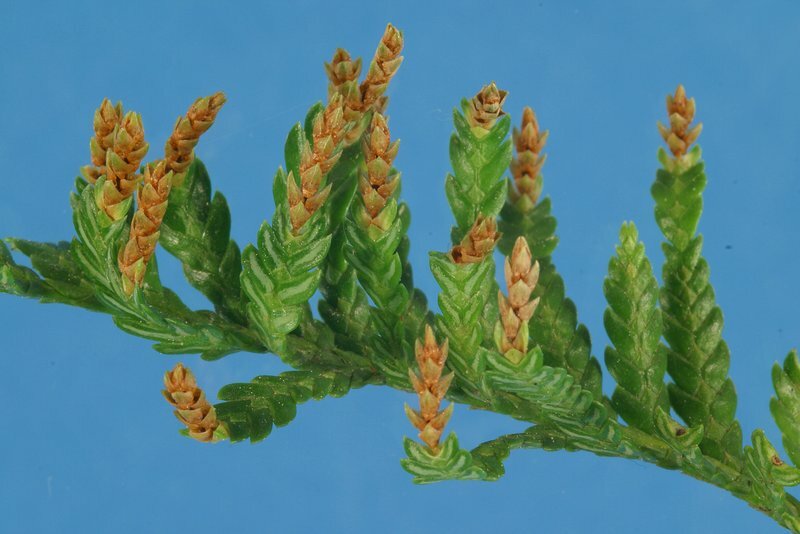 The lateral leaves are much larger than the dorsal and ventral leaves and the ultimate branches are flattened giving a feathery effect to the foliage. 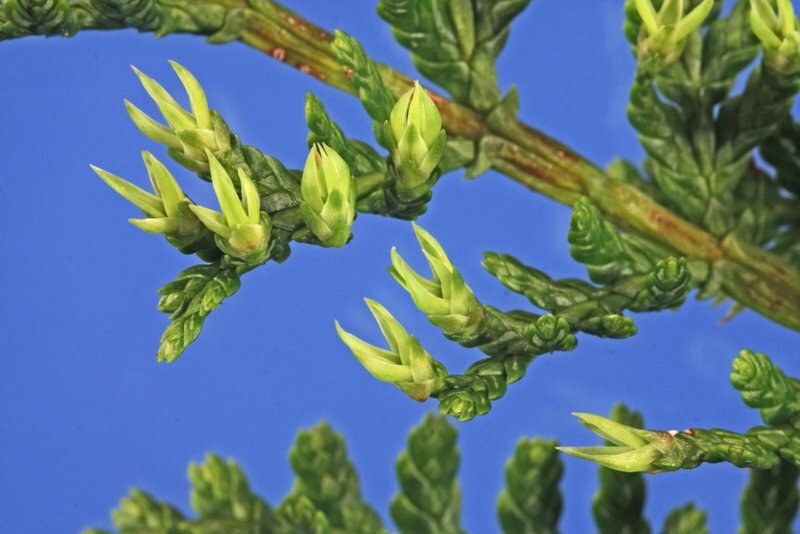 Seed cones are small and woody, with a distinctive sharp spine on the outer bracts and release seeds while attached to the tree. 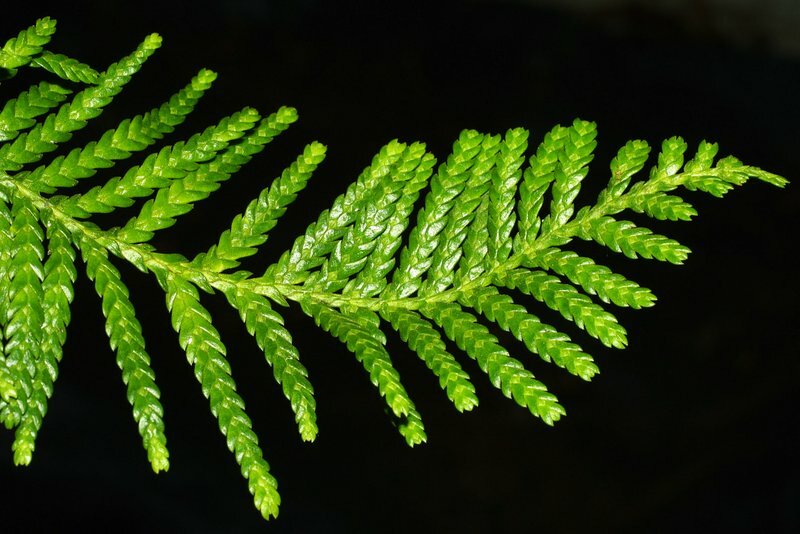 An endemic species found in lowland forest throughout New Zealand. 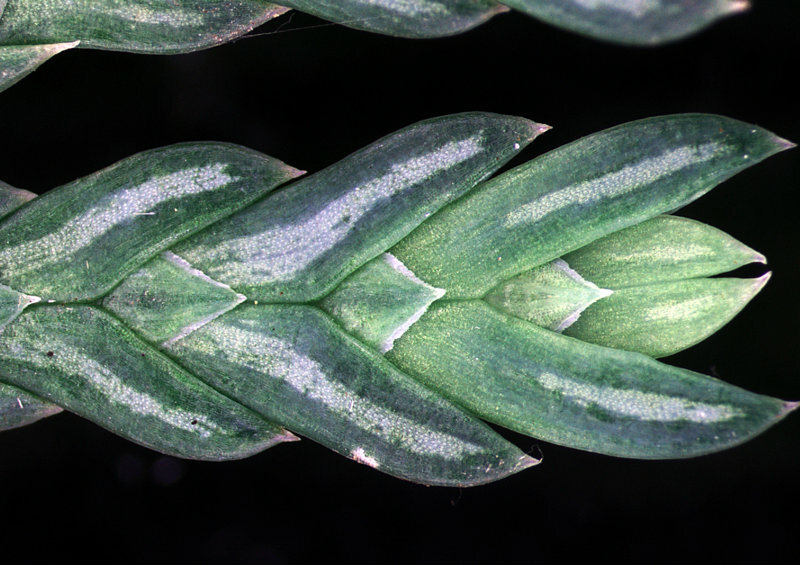 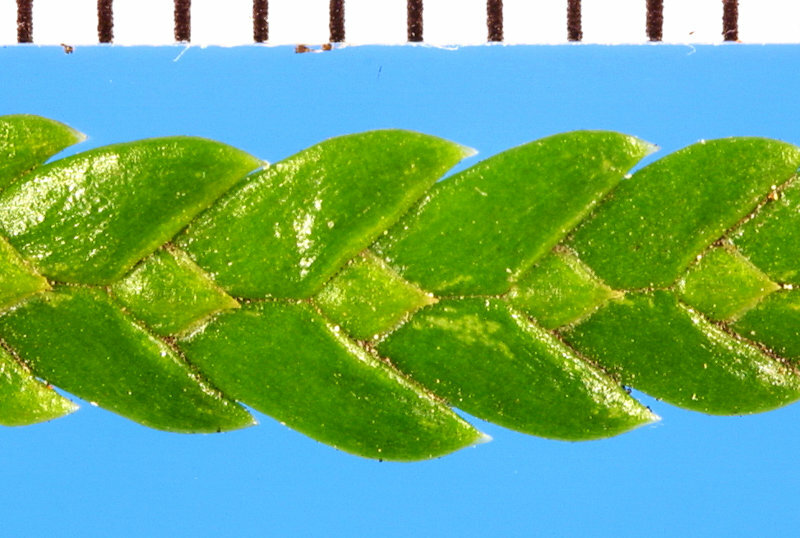 Juvenile leaf arrangement: spiral, spreading out from the stem becoming in two lateral rows.